One can get used to anything. Several years ago, I began reading Casanova’s memoirs. I managed to scrounge the entire six-volume set in paperback, and now I dip into it, in no particular order, whenever I find myself without something to read. He writes about his affairs, of course, as well as his duels, gambling, legal affairs, illnesses, travelling, and a million other things, and what keeps me reading is that he is a fabulous storyteller. I happen to be reading about his imprisonment in the prisons of Venice, known as The Leads, because of the material used to roof them. He was denounced, more or less anonymously, for having prohibited books in his rooms, books about magic, astrology, and other blasphemous subjects. Somebody was settling a score. The conditions of his incarceration are awful – the stifling heat, the fleas, the lack of books, paper and pens, poor food, poor light, and the occassional roomate thrown in, some of whose company is worse than solitary confinement. He contrives to dig a hole in the floor through which to escape, but just before the breakout day, he is moved to another cell, a palace compared to the rat hole he is in. 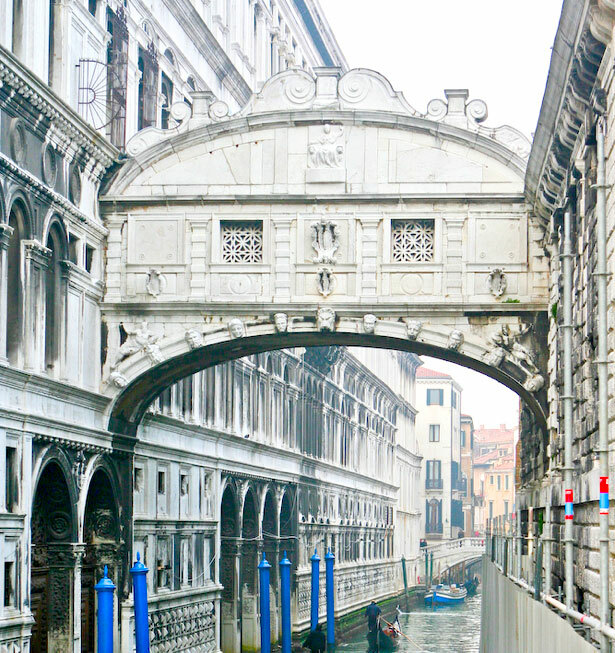 The image above is the Bridge of Sighs, which leads from the interrogation quarters of the Doge’s Palace to the state prisons. 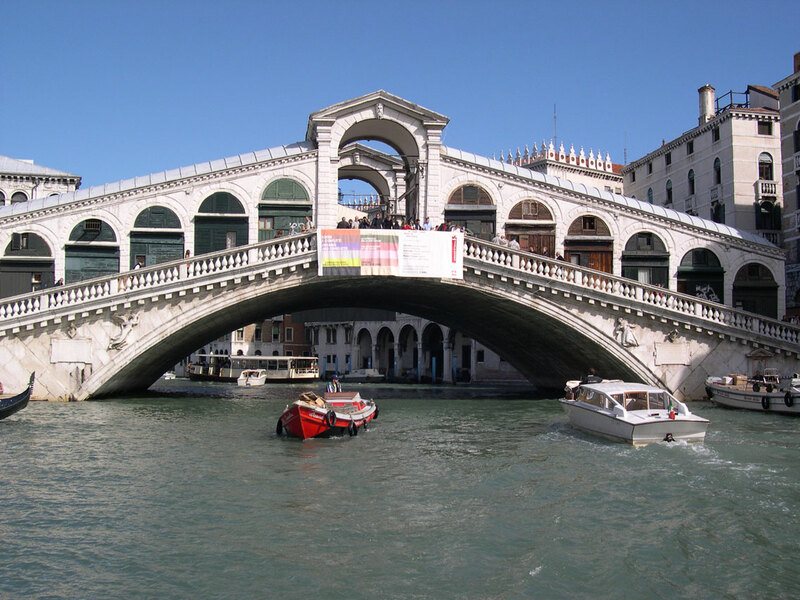 It’s quite famous, and despite its criminal associations, architects have imitated it, or claimed to, quite a bit. 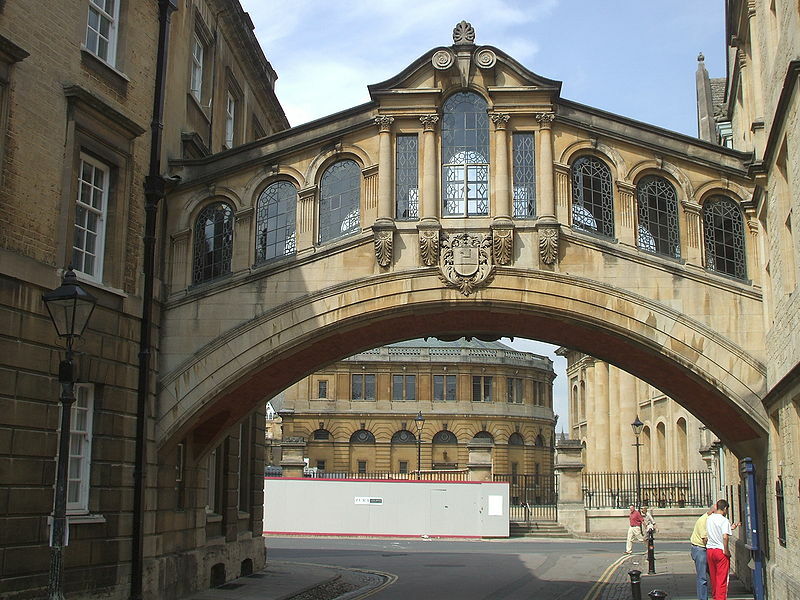 This bridge in Oxford is called the Bridge of Signs, but it looks more like the Venetian Rialto. 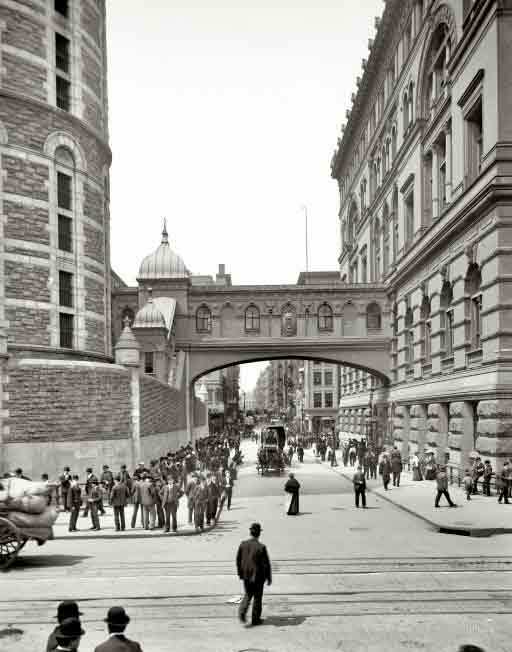 At least this old bridge in NYC with the same name connects to a prison, known as The Tombs. 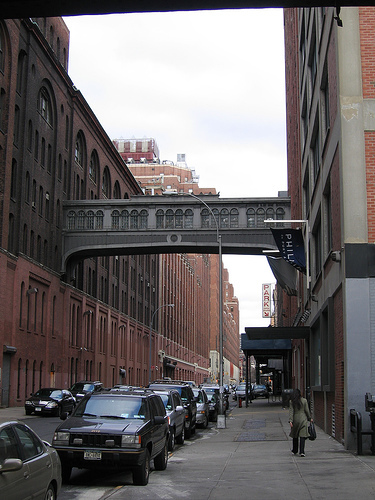 The other two are simply skybridges, that you see here and there around the city. Shall we imagine that the desparate sighs of imprisoned white-collar workers can be faintly heard? They were exalted by that which is second to virtue only, by glory. Then succeeded melancholy; either from the exhaustion consequent on so many sensations, or the effect of the operation produced by such an immeasurable elevation, and of the seclusion in which we were wandering on that height, whence we beheld immensity, infinity, in which our weakness was lost: for the higher we ascend, the more the horizon expands, and the more conscious we become of our own insignificance. 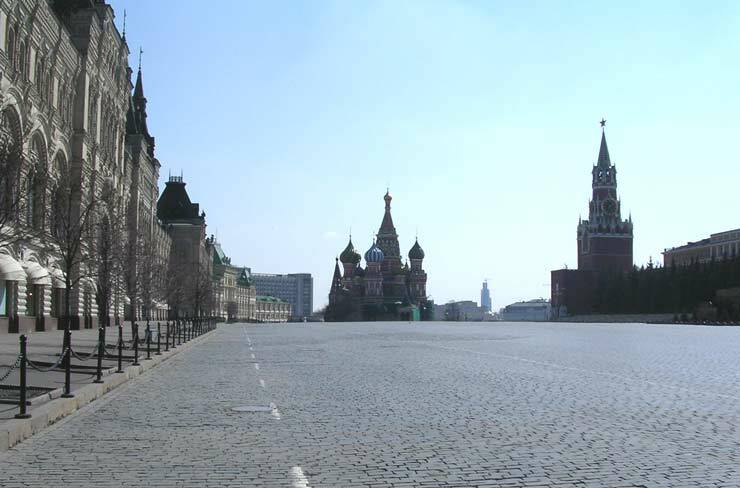 A powerful but tattered army reaches its prize, the capital city of the Russian Empire. A pause, a passage of silence. They are at the pinnacle, and from there, the only way is down. 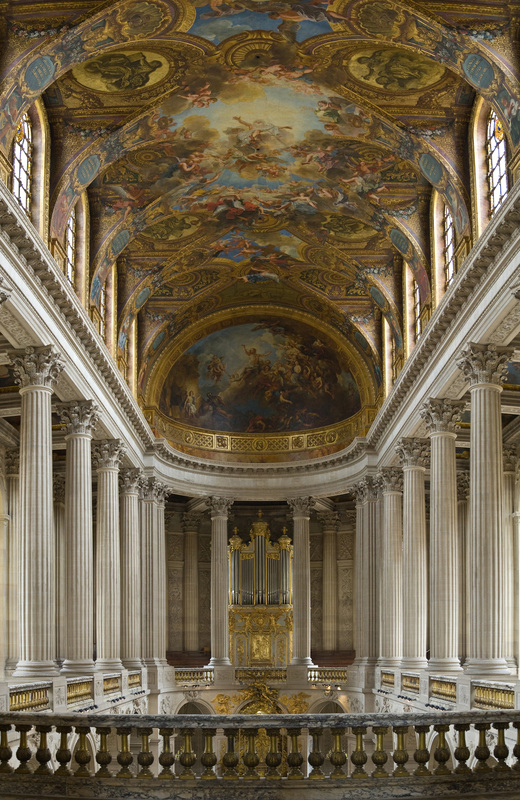 It’s 1715, and Louis XIV, The Sun King is near to setting. The Duke de Saint-Simon is concerned about the state of the realm after the great king, whom he detests, has passed from the scene. The Dauphin (the direct heir to the throne) is dead, and the most appropriate successor is only three years old: There must be a regency while he grows up to his majority. The Regent will, of course, be the Duke D’Orleans, the son of Louis’ brother, Philipe d’Orleans, who was simply known as Monsieur. (He was, I believe, a homosexual, something that was tolerated in the Court for a variety of nefarious reasons. ) The Regent, an intelligent man with many good qualities, is also a bit of wag, and takes pleasure at thumbing his nose at convention. During a long church service with much music, he was seen to be assiduously following along in a prayer book. When congratulated afterwards by an old family retainer, he responded with a laugh, “You are a great ninny! I was reading Rabelais – and he showed the book’s cover.” Saint-Simon comments that this was all for show since he was quite happy to attend the mass, Rabelais or no, being a great lover of good music. Most damaging of all, I continued, would be to proclaim his godlessness or anything approaching atheism: for it would make enemies of all religious bodies and at the same time antagonize every decent person who cared for morality, sobriety, and religion. He would then find turning against himself that licentious maxim which he was so fond of quoting – namely that religion is a bogy which clever men have invented in order to govern and which is therefore necessary for Kings and republics. If for that reason only, he might think it in his best interests to respect the Church and not bring it into disrepute. I dwelt long on this important subject, adding that he need not be a hypocrite, only avoid plain speaking, observe the conventions (which was not hard if one confined oneself to appearances), refuse to countenance improper jests or remarks, and generally live like an honest gentleman who respects his country’s faith and conceals the fact that he, personally, sets no store by it.